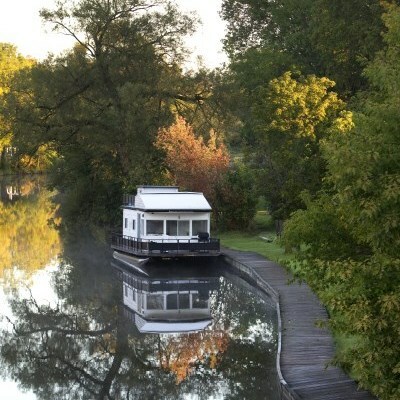 The Trent-Severn Waterway National Historic Site of Canada is a scenic 386 km route of interconnected rivers, lakes, locks and canals managed by Parks Canada that travels throughout Kawartha Lakes. For the most current boater information including wait times and mooring availability you can follow the Trent-Severn Waterway on Twitter @TSWBoaterInfo or @VTNSInfoNav. 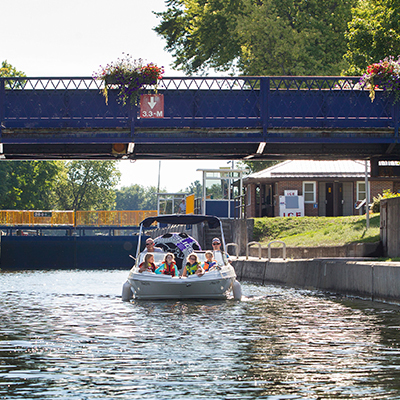 Bobcaygeon is the first lock that was ever constructed along the Trent-Severn Waterway. Today, it is a popular place for boats of all shapes and sizes that travel from near and far to experience one of the most popular locks along the Waterway. The atmosphere in Bobcaygeon, both on the water and in town, is warm and welcoming. The Lock Station is staffed by a knowledgeable and friendly team who will go above and beyond to make your stay more comfortable. Located just minutes from downtown Lindsay is Lock 33 - an essential link between the communities of Kawartha Lakes. The Lock has a great small town feel and is popular place for locals and visitors to meet. Lock 33 is also the only lock along the Trent-Severn Waterway that has a 3-gate system instead of the conventional two gates. 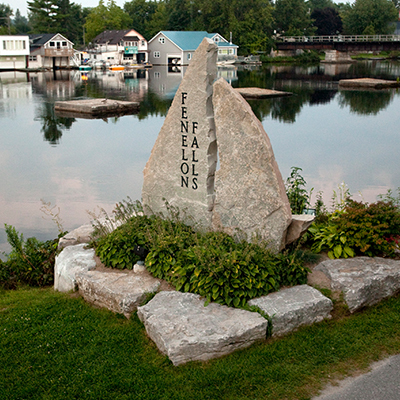 Located in the "Jewel of the Kawarthas" is Lock 34 - Fenelon Falls. This small town truly comes to life during the summer months as the Lock opens and welcomes residents and visitors alike. You're invited to grab an ice-cream cone, pull up a seat and watch the boats lock through one of the deepest conventional locks on the Trent-Severn Waterway. Situated between Balsam and Cameron Lakes in the City of Kawartha Lakes is Lock 35 - Rosedale. Here you can relax and enjoy the peace and quiet, watch the boats go by or take advantage of nearby parkland, picnic areas and opportunities for paddling. This Lock Station also features three oTENTik's and one cabin that are available for rental - interested in the perfect combination of roughing it and luxury - Lock 35 has it all. Lock 36 - Kirkfield is one of the two highest Lift Locks along the Trent-Severn Waterway. Although it is slightly smaller than it's cousin in Peterborough, measuring in at a 49 foot lift, it is a unique lock to experience by boat or from the shore. There is a beautiful open picnic area with large trees providing shade right beside the water making your visitor here comfortable and relaxing. 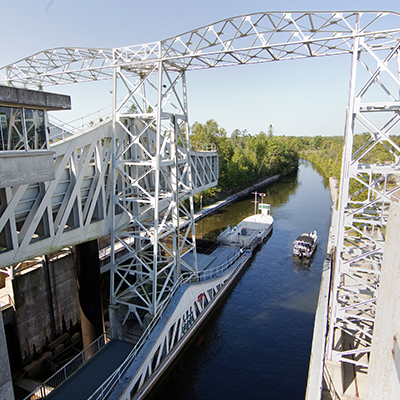 Whether you are experiencing it by boat or from land, The Kirkfield Lift Lock it is an unbeatable site to watch the action.